The yearly Banksia Sustainability Awards recognise and reward achievements made by Australian Individuals; Community Groups; Primary and Secondary Schools; Not-for-profit organisations; Small, Medium and Large Businesses; Tertiary Institutions and Government. This year’s awards covered a wide, diverse range to honour disruptive thinking high-quality projects, ranging from environmentally sound furniture through to beer produced to environmental and social standards: The list was eventually narrowed down to 39 finalists across 11 categories, among which are companies such as Eden, producing world-first nano-filtration devices which provide low cost, off-grid energy solutions. Winners were announced at the awards night– a thriving hub of ideas, excitement ample opportunity of cross-pollination in the sustainability community. Each finalist was also awarded the chance to pitch their ideas to the audience at the preceding Finalist Insights event. 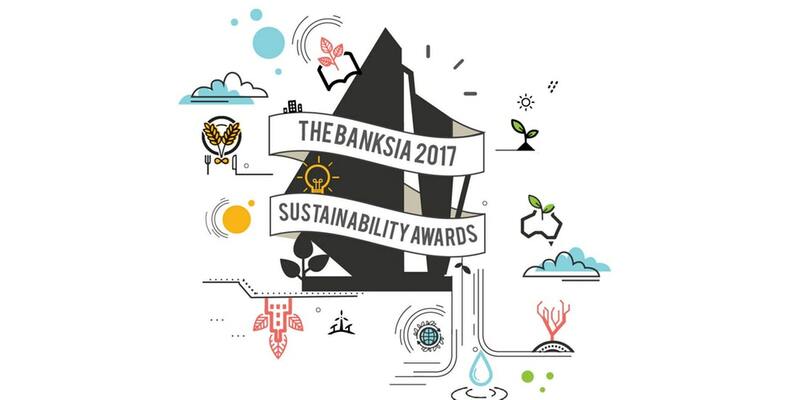 The 2017 incarnation of the The Banksia Sustainability Awards cemented its status as a provider of a forum that brings together and celebrates the most innovative, effective and outstanding people contributing to improving Australia’s sustainability and elevates and encourages their ongoing involvement. Banksia will work with award winners and finalists to investigate how these leaders and innovators have become just that. In addition, they will identify how they envisage going forward towards 2020, adopting innovative approaches to promoting sustainability in their particular areas. The Banksia White Paper concept is an extension of the Banksia Sustainability Awards program. Having collected a wealth of knowledge over the years and having been into contact with many new initiatives, the Banksia Foundation is making use of the information gathered in the individual award categories to inform their White Paper publications, which are aimed at making this type of information accessible to the broader community and is available to the general public.